Our commitment to keeping Britain Great goes beyond merely building a great product. We have gone out of our way to source as many high quality components as possible from English manufacturers. This ensures that a high percentage of the cost of our products goes back into British industry (up to 80% for custom products). On our custom builds, the transformers, chokes, cabinetry, jack sockets, turret boards, chassis and fascias are all made in the UK. 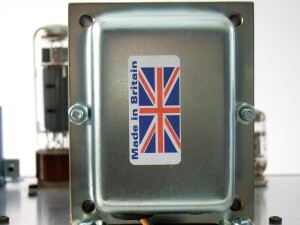 Additionally, most of our loudspeaker drivers, resistors and high voltage decoupling capacitors are sourced from UK based businesses. So when you buy our products, you’re also keeping those Great British engineering businesses alive.